Pictured above: ''Ädam" - Australian Champion Eireannmada Paradise Lost (AI) and Clare at the ISCV show 2014. 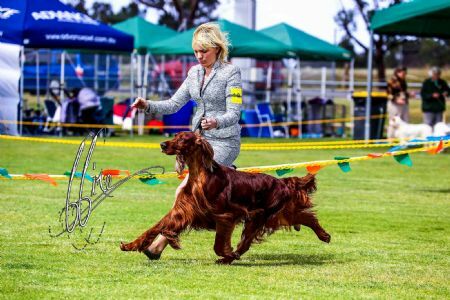 Eireannmada had a successful 2014 Irish Setter Club of Victoria Specialty..... Check out the "Results" page for more information! Eireannmada Kennels are proudly sponsored by Royal Canin.